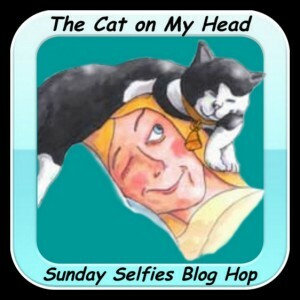 "Sunday Selfies" BlogHop For Pets! Here's our Sunday Selfie...yes, I live with a cat! As always, thanks to Cat On My Head for hosting this fun pet blogger hop! You are so lucky to live with a cat. You are both cuties. What a cute selfie you took with your cat, Bocci! Happy Sunday! We have never met a kitty, Bocci - not yet! Great selfie of the two of you! Hey, thanks for letting us know you call these "two-furs"—clever! We very much enjoy your blog hop!